Two days of talks in Geneva. The stunning result: an agreement to talk. In what has become the normal tactic of the Iranian regime, Iran agreed to, yes, you guessed it, to meet again next month to talk. The representatives of the P5+1 (the five permanent members of the United Nations Security Council plus Germany) will meet Iranian envoys in Istanbul in January. If that meeting is anything like the last two days in Geneva, the result will be the same. There will be no progress in halting Iran's continuing uranium enrichment program and thus no progress in halting its development of nuclear weapons. This has been going on for years. Iran agrees to an endless series of meetings that have no positive results, all the while buying time to continue to enrich uranium. At some point, the Iranians will have amassed enough fissile material to produce a weapon and no longer need to have these meetings. They will present the world with a fait accompli with the announcement that they possess nuclear weapons. Let's look at the meetings in Geneva. The participants, people who were principals at the table in the meetings, cannot even agree on what happened at the meetings. These are the people we believe are going to be successful in convincing Iran to stop its nuclear activities? According to the European Union's High Representative of the Union for Foreign Affairs and Security Policy Catherine Ashton, the meetings were "detailed and substantive," and that the discussions in January will address "practical ideas and ways of cooperating toward a resolution of our core concerns about the nuclear issue." Really? Not according to Saeed Jalili, Iran's envoy to the talks. Jalili told reporters that the two sides had not agreed on the topics to be addressed at the Istanbul meeting. 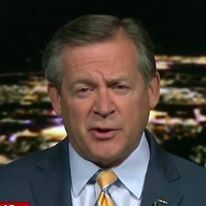 While Iran's focus is the nuclear weapons of the other countries at the table as well as Israel's suspected nuclear stockpile, he said, "I am telling you clearly and openly that halting uranium enrichment will not be discussed at the Istanbul meeting." Then why bother? Isn't that the purpose of the talks? 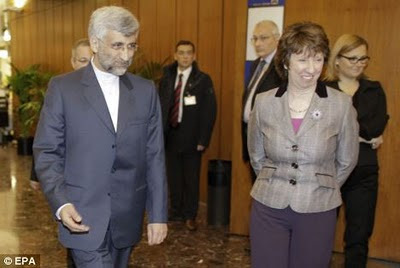 Further, do we really believe that the P5+1 negotiators, specifically Catherine Ashton, will make so powerful an argument that the Iranians are likely to give up what has become one of the key elements of its national strategy? Hardly. The Istanbul talks, just like the Geneva talks, are meaningless, nothing more than political theater to make it appear that the participants are relevant in the region. A solution? It depends on whether the United States, not the P5+1, has resigned itself to the inevitability of a nuclear-armed Iran. Given the feckless manner in which the United States is facing the issue, it certainly appears that it has. If not, it is time that President Obama come out and say so. It doesn't have to be complicated, it won't even require a teleprompter. Pick some simple words like, "We will not permit the Iranians to develop a nuclear weapon. I have ordered the State and Defense Departments to make sure that they do not." How hard can it be? Failing that, the Iranians will continue to outmaneuver the United States and the P5+1 at every turn. Although sanctions may be beginning to work, by the time they might be effective enough to change Iran's behavior, Iran will already have a nuclear weapon. For now, we continue to accept Iran's agreement to talk, and Iran continues to enrich uranium. Why does this not fill me with confidence?